It’s hard to pinpoint the precise appeal of mirrors placed in natural landscapes, considering that they essentially serve to reflect the beauty of their surroundings, but there’s something magical about the results they yield. So much so that many artists have experimented with the concept; think: Anish Kapoor’s giant mirrored sculptures in Kensington Gardens or Murray Fredericks’ Vanity series, which saw the artist place a large rectangular mirror in various locations around Lake Eyre in South Australia. One of the most breathtaking examples of outdoor mirroring, however, is in fact a pair of holiday apartments situated in the mountainous Italian province of South Tyrol – and best of all, they’re available to rent. 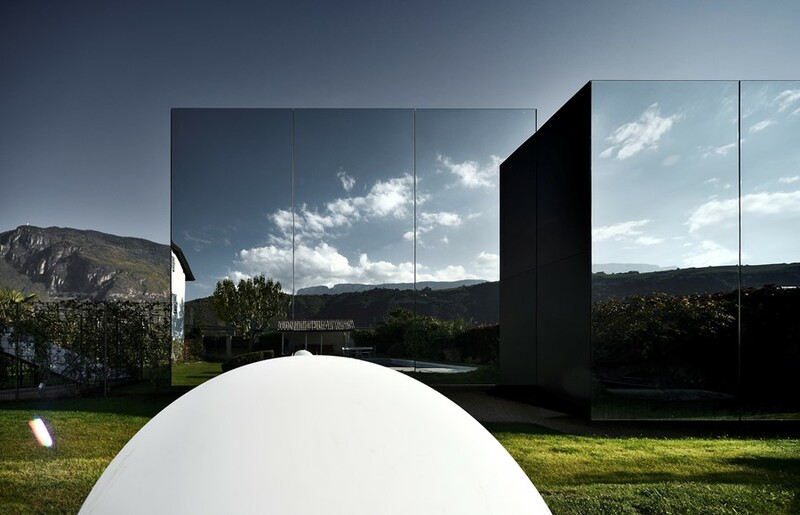 These aptly named Mirror Houses are located a mere stone’s throw from the region’s buzzing capital Bolzano – a hub of medieval architecture and fabulous restaurants – and yet they seem to exist in a world of their own. They form part of a working apple farm, comprised of vast stretches of leafy orchards, and sheltered by the snow-tipped Dolomites, which cluster around them. 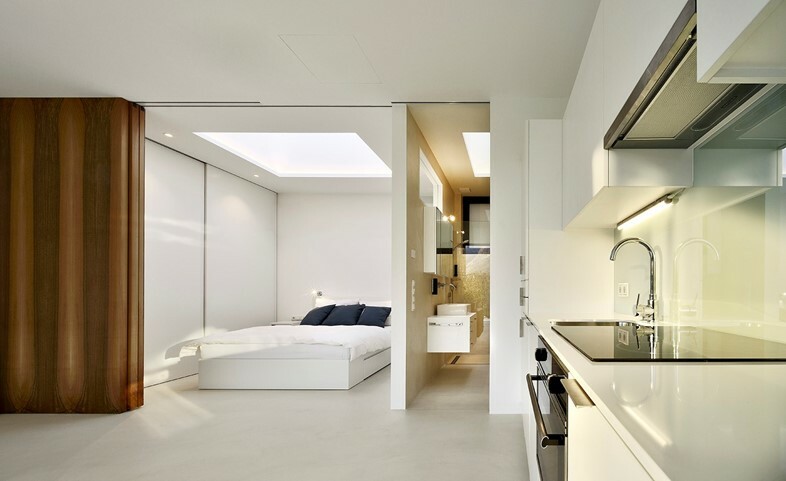 The architect behind their ingenious design is Peter Pichler – a native South Tyrolian, who trained under Zaha Hadid and Rem Koolhaas before founding his own architecture practice in Milan in 2015. Pichler was approached by the client to design adjoining holiday homes for short-term rent that would both complement the stunning natural surroundings and the property’s existing 1960s farmhouse, while contributing something entirely unique to the abundance of glorious contemporary architecture springing up across the province, from Hadid’s extraordinary Messner Mountain Museum to the beautiful buildings of Armin and Alexander Pedevilla. Suffice to say, Pichler succeeded on all fronts. 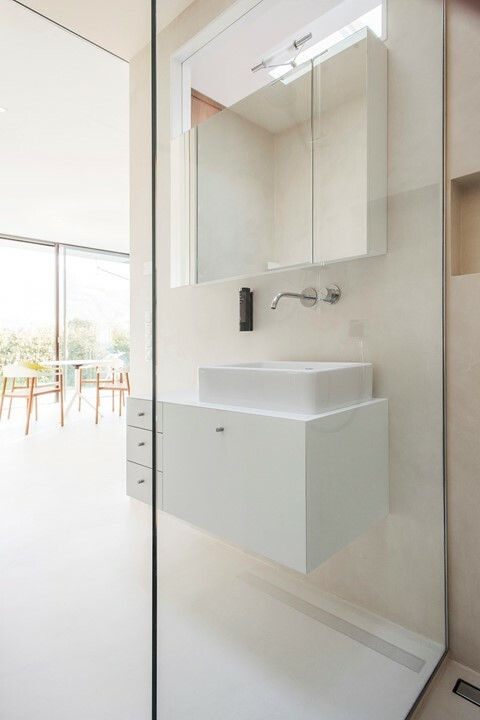 Inside, each unit contains a pleasingly minimalist kitchen and living room area, a small but luxurious bathroom and a raised bedroom section, complete with sliding wooden panels that can be drawn at night and sky lights that open up for a spot of stargazing. Completed in 2014, the houses have drawn guests from all around the globe in search of an unusual holiday destination. For Pichler, they have also prompted an ongoing flood of requests for similar designs. “It’s crazy,” he laughs. “I get so many people asking me to build them a mirror house – but they don’t realise how difficult it is. You have to have the perfect positioning, for example. If we rotated these houses by 180 degrees, they’d be burning hot in the summer. You also have to have surroundings that are as idyllic as this to make it worthwhile. Show me the right spot though, and of course, I will create something for you,” he says smiling. Book your stay at the Mirror Houses here.